If you are using Apple iPad then you most probably have heard about the launch of Microsoft Office for iPad. Microsoft says that this is not a port of the Windows version but a completely built iPad version which will work great with touch input in all the apple devices. Julia White, Microsoft’s chief of Office Division Product Management, presented the new Office for iPad during an event focused on cloud services in San Francisco, with the new CEO Satya Nadella also taking the stage to discuss about Redmond’s efforts in this particular market.White guarantees that everything has been built from the ground up to work on the iPad, and “this is definitely not the Windows app ported to the iPad.” Everything is “very natural on the iPad,” she pointed out. “What makes these apps unique is that they strike just the right balance between being unmistakably Office and being designed for the iPad. If you use Office on a PC or Mac, the iPad apps feel very familiar, so you are comfortable and confident using these apps right away. The Ribbon layout and experience is familiar, with the most common commands under Home, and Chart commands automatically show up when you select a chart,” it says. Office is available as a free download from iTunes but the free version will only help in opening and viewing files, if you want real editing capabilities then you must buy a Office 365 subscription. Google has updated the app launcher aka Google Grid,it allows you to re-arrange the apps to your wish so that you can access the your most used app easily. The image above says it all.You can also add Google products you use that don’t appear in the “More” section. Just go to the product you’d like to add and open the App launcher, and you’ll see a prompt to add it as an app.This update will be rolled in the coming weeks and Google thinks that the transition will be complete within two weeks. Keep checking for the feature which will land on the world's most popular search engine very soon. It's a small update but it helps users to access google services faster and easier.For instance, I always have to click more or scroll down to go to Blogger but with this update I can very well Blogger on top and access it faster.It's a matter of seconds but it does matter. What do you think about this feature ? Tapatalk is one of the most popular apps in the Windows Store but it was available only in the ARM platform which means that the desktop users running Windows 8.x can't install this app.Starting yesterday, the team behind Tapatalk have released the app to the desktop versions of Windows 8.x. Navigating online discussion forums has never been easier with Tapatalk! Discover robust online communities and stay connected with your favorite forums on-the-go with this award-winning mobile app. Tapatalk is the only mobile app combining over 50,000 internet communities in a streamlined mobile experience. Fast and accessible features allow you to read posts, share photos, and keep updated on private messages in all your forum communities within a single mobile app. Tapatalk aggregates content from a network of communities that cover a wide variety of interests, from automotive to parenting, gardening to hiking - You will find a forum that matches your interests full of fellow enthusiasts that share your passion. Optimized for high res displays in portrait or landscape layouts. Browse over 50,000 forums with more being added every day. Unlimited image hosting for photos you take on your mobile device. Tapatalk ID enables you to save and sync your forums across devices. “The reality is that Windows XP is 13 years old and four generations behind,” says Dean Edwards, Windows Business Group Manager for Microsoft New Zealand. As new devices emerge, the support for XP will be dropped to benefit from the new features resulting in better performance of both hardware and software. Microsoft wants you to move to Windows 7 or Windows 8.1 but it is up to you to choose your destination. But still Windows may be the best bet for your next destination as most of your apps will run in the latest versions of Windows without any problem. Well if you are one of the 29% in the world who use Windows XP, a 12 year OS which is going out of support within 20 days. Now you have understood the risks of staying with XP and have plans to upgrade to a newer OS. The most favorable OS would be Windows 7 or Windows 8.1 . That's the confusion for a lot of people . It is usual to see the sales of Windows 7 increase rapidly as XP fades. But Windows 8.1 is a much better alternative to Windows 7 in many ways. Windows 8.1 is younger and newer which means Microsoft have improved the OS's performance in the gap of three years after the launch of Windows 7. Windows 8.1 is meant to work in all devices with different form factors and sizes. Windows 8.1 boots up a lot faster than Windows 7 and it works like a charm without much hang ups even in a low end device. Windows 8.1 is built upon the rock solid foundation of Windows 7. Windows 8.1 brings about many changes related to the security. 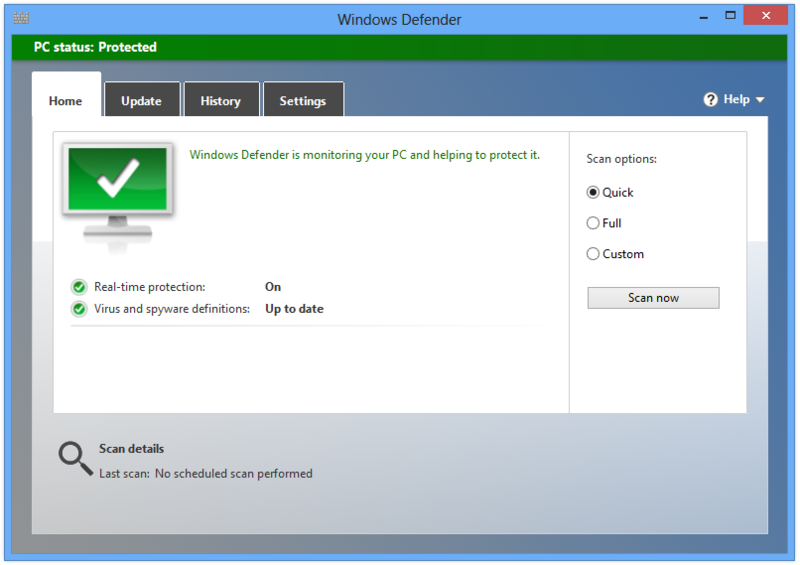 Windows Defender is the MSE built inside Windows 8.1 to keep you protected right from the start. Windows SmartScreen helps you to protect your PC by warning you before running unrecognized apps and files downloaded from the internet. Windows Firewall has also been improved from Windows 7. You look for apps in your android or WP device by going Play Store or Windows Phone Store. It's simple and easy to search for your favorite apps in the stores rather than looking through the internet. Windows 8.1 brings Windows Store which hosts more than 230,000 apps as of now.You can find your favorite apps such as Facebook,Twitter,Google,Skype and more.... right from the store. A single click is enough to download and install the app. Also the apps get automatically updated to the newest version. Windows 8.1 brings you the most polished Desktop ever with improved file management capabilities and faster access to files and apps.The desktop has been improved a lot since Windows 7. The new File Explorer sports ribbon UI which lets you reach power options within a single click. You can pin your favorite apps to taskbar and launch them easily. 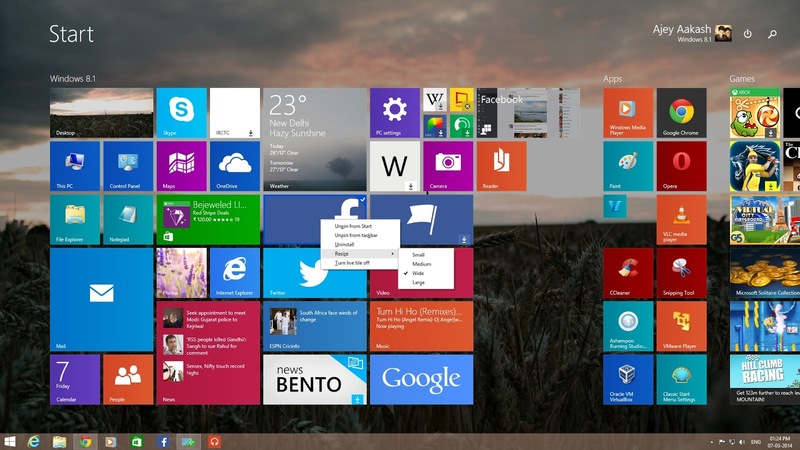 Windows 8.1 update 1 brings more changes to the Desktop environment and Modern UI. The keyboard shortcuts you used in Windows XP is still here and there is much more. 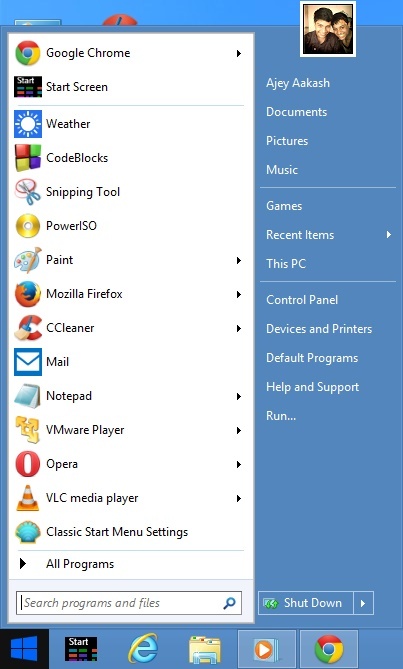 Windows 8.1 still has many features of Windows XP in their improved avatar. If you don't like the Start Screen, you can simply download any of the available third party start menu's for free such as Classic Shell,Start8 and more.. Windows is the most customizable OS in the world, Windows 8.1 is no exception. In fact these are some of the major advantages in upgrading to Windows 8.1. There are thousands of little things which makes Windows 8.1 a great OS. In case you need any help or have doubts then you can right away leave a comment on this post or even send a e-mail to kbajey19@outlook.com. I would like to offer you help. OneNote is Microsoft's flagship note taking app which was available as a part of Microsoft Office. But Microsoft have decided to make this fantastic note taking app free for all the users. Microsoft has now released OneNote for Mac which is also available as a free download from Mac app store. Also Windows 7 and Windows 8 users will get the free version. It is also available as metro app from the Store which makes taking notes easier in touch devices. OneNote is facing fierce competition from Evernote which is available in multiple platforms. Now OneNote is also available on all the major platforms for free and packs a bunch of useful features to make your notes easy and fast. Download OneNote now ! One year with this blog ! It all started a year ago when I completed my 10th grade and decided to start a blog with good and original tech content.So far I have made sure that my posts are not a copy and paste work.It's a great ride with all the posts and comments.The past year proved to be a good year for my blogging. I have wrote mostly about Windows,Browsers and sometimes Apple,Android,Windows Phone,avast! and much more.. I look forward to write more and more quality posts and some exclusive posts.I would like to thank all the people who have followed me through the blog. Also I would like to thank the people who have said me some exclusive things about Windows and Microsoft. Thanks everyone. If you have any suggestions then I would like to know via the comment box. 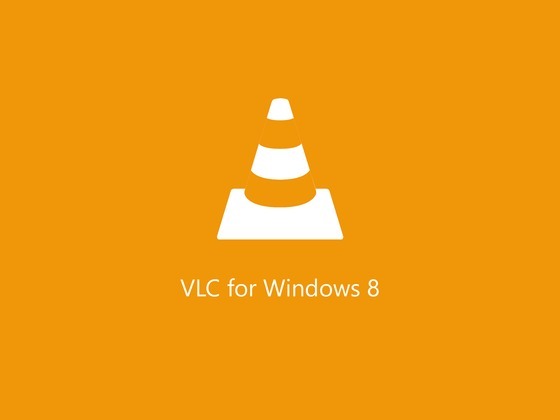 VLC media player is out for Windows 8 in beta form ! VLC media player was planned to be released on Monday but the certification process took more time. 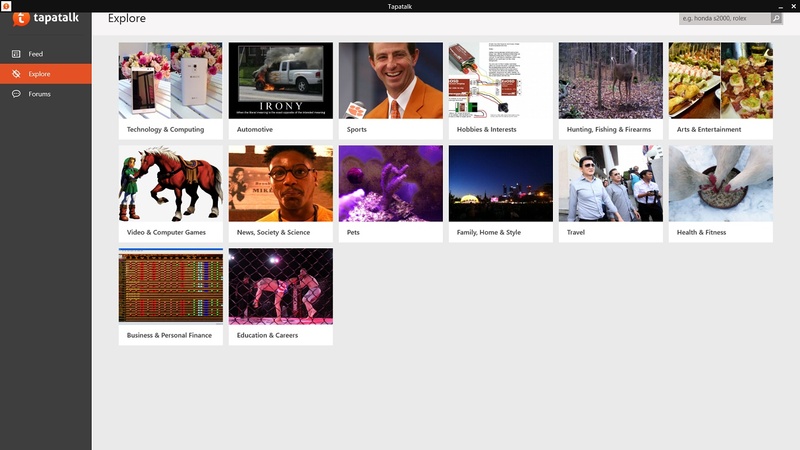 VLC media player has hit the Windows Store in the beta form. It brings support for subtitles and mkv,flac are supported . The interface is clean and modern. The app opens you to the recently viewed videos followed by your Video library.VLC automatically curates all the videos from your computer and presents everything in a cool interface. But the VLC still has a lot of bugs and missing features from it's desktop counter part. Sadly,this app does not run in ARM platform which means Windows RT 8.1 users won't be able to install VLC in their devices.Subtitles are not automatically imported. There are a lot things missing but the app works fine mostly.Have you installed the app ? Windows 9 is getting closer : October 2014 ? Reliable sources close to Microsoft have hinted that Windows 9 might just be around the corner and might be released in October 2014. WZOR might very well leak the Windows 9 developer preview soon but he has not commented about this publicly. Still there is no idea on any specific new features which will be implemented in Windows 9 but according to old reports Microsoft might very well listen to customers and bring the Start menu with a new name such as Mini-Start which was alleged to come with Windows 8.1 update 1 but it did not.There are more reports claiming that Microsoft will allow Apps to run inside the Desktop. Releasing Windows 9 in October will keep Microsoft's yearly update strategy alive, as you can see that Windows 8 was released on October 2012 followed by Windows 8.1 on October 2013 and if the same is to happen with Windows 9, we will see the daylight of Windows 9 by October 2014. But still there is no confirmation on when Windows 9 will come out.It is still unknown whether developer version will be released on October or the final version. But one thing is pretty clear, Microsoft has already started working on Windows 9. Remember Windows 9 will hit the streets sooner than you think. Update 1 : Windows 9 is expected to come with thinner explorer borders by 20-25% which would look like a mix of XP style and 8 Style and a mini start menu. Update 2: Windows 9 won't bring tabbed File Explorer which is one of the most requested features in Windows. 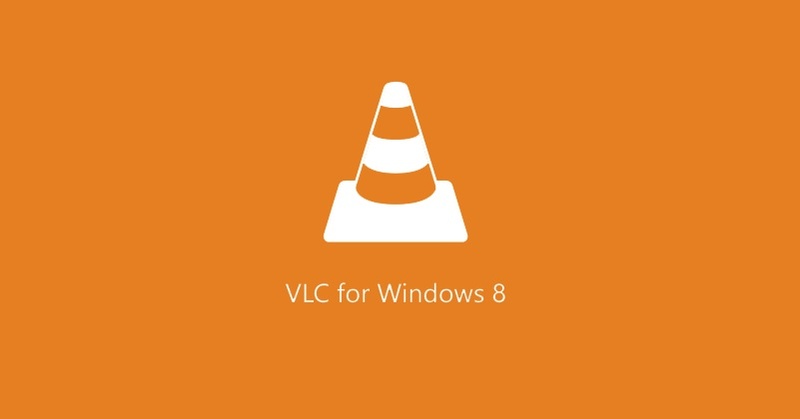 VLC Media player for Windows 8/RT due to be released today ! 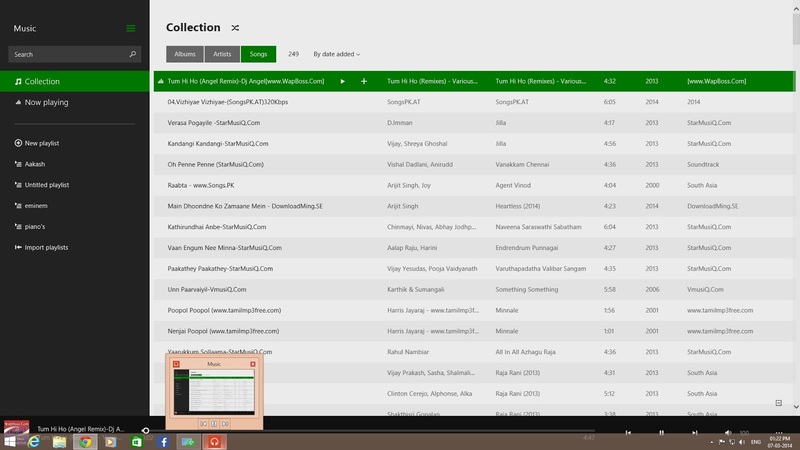 VLC Media player is one of the most awaited apps in the Windows Store. 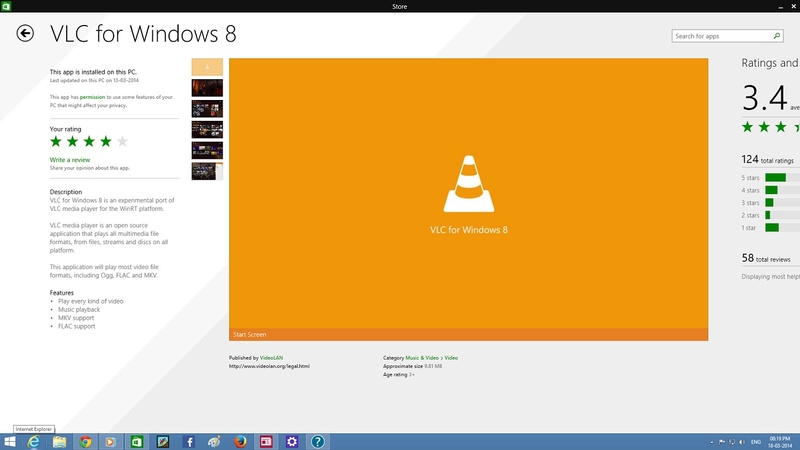 Windows 8 was released back in 2012, since then VLC are working really hard to port all the features to the metro app. They have submitted their app several times but they had taked down everytime because the app has some bugs. @dovellonsky we plan to release on the store on Monday. But it seems that VLC has sorted out the bugs and have planned to release the app today. VLC released the news via a tweet.Also the Windows Phone version will be released very soon said the open source organization. VLC remains one of the most popular and powerful media player available for multiple platforms including Windows,Mac OSX,Linux... Are you waiting for VLC app in Windows ? Update : VLC has submitted the app to Store and it will be available within some moments ! Windows 8.1 update 1 RTM in action ! Watch the final version of Windows 8.1 update 1 in action.Windows 8.1 update 1 or Windows 8.1 Spring update brings some new features which help the desktop users feel home. Enjoy the Video ! Microsoft has uploaded Windows 8.1 update files onto their official Windows update servers. Most probably,it must be the final RTM version which is slated to release next month. The guys at MyDigitalLife have spotted this and shared the links publicly.You can go here and download the update manually. Update :- Microsoft has removed the update file from it's servers but still you can download using the Mega links found in the post. Microsoft is yet to unveil the update but it's surprising to see those file on their update servers.May be Microsoft has plans to released to MSDN and TechNet users earlier than the consumers. Let's see if the update is the RTM version or just some more test builds. I am deploying the update now and will update this post with more information screenshots if the installation is successful. The update is now installed and everything is fine here. It seems to be the RTM version too. Here are some screenshots.It's fantastic. Keep checking for new posts ! Updated : After installing the update on my PC ! What's happening with Windows 8.1 update (1) ? A new name ? By this time, most of you will be familiar with the fact that Microsoft is planning to release a major update to Windows 8.1 users. Microsoft might very well give a small surprise to everyone, it seems that they are planning for a new name to the update. The whole world has been calling the update as Windows 8.1 update 1 but Microsoft never used it, they actually used Spring Update but it's not the name of the update or it may be a codename. Microsoft is yet to comment on these reports, most probably they won't even take it into notice. They will release the update to everyone next month on the patch Tuesday via Windows update. Let's wait and see how Microsoft shapes the latest update to the world. Note : This is nothing related about the post, it's about me. You might have found that I am not actively blogging, it's because I am writing my 11th final exams which is scheduled to end on March 21. After that date I will engage in blogging actively, thanks everyone :). Microsoft has been heavily promoting Windows 8.1, they have compared it against iPads, Chromebooks and much more. This time they take on Macs, Macs are not designed to run on touch devices and has a hefty price tag. Windows 8.1 sings the tune differently, it is more affordable than macs and can take both touch and keyboard input at the same time running your favorite apps. Windows 8.1 was released on October 2013 as a free update to Windows 8 users and it now has a market share of 4.30% while the total market share of Windows 8.x is 10.68%. Microsoft bets big on their newest operating system and they are preparing for the launch of Windows 8.1 update 1, an important update for Windows 8.1.